Working on video games I have the opportunity to do something fun almost every day. Today went beyond fun and into the realm of TOTALLY RAD! 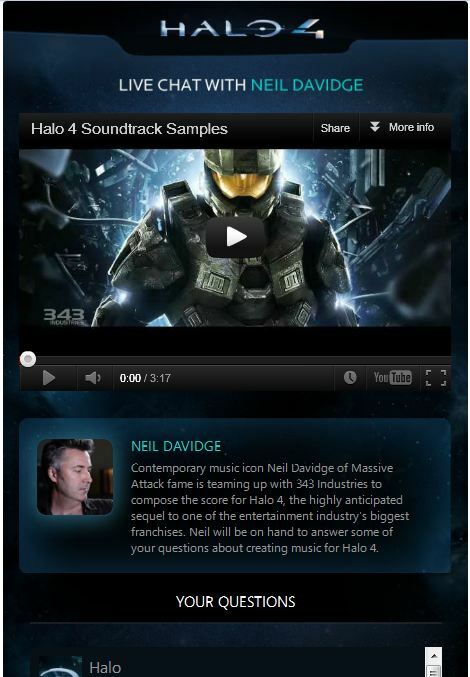 Xbox and 343 Industries announced that award winning producer and composer Neil Davidge will be creating the score for Halo 4. As part of the announcement I worked on a live chat with Neil via Facebook. Listening to him talk about the creation of the music was incredible and I can’t wait to play this game. Last weekend I spent a few days at PAX Prime here in Seattle. I attended a number of game industry related seminars and got to check out a bunch of upcoming games including Gears of War 3, Forza Motorsport 4, Halo: Combat Evolved Anniversary Edition, The Elder Scrolls V: Skyrim, Ratchet & Clank 4 All, Skulls of the Shogun, Dance Central 2, Kinect Sports 2, A Space Shooter, Mass Effect 3, Rage, and Rise of Nightmares. 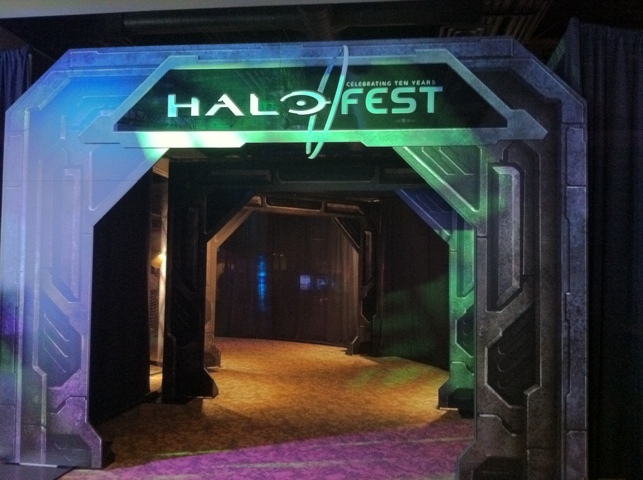 Within the PAX convention was Halo Fest, a celebration of the first 1o years of the Halo game franchise. There was a lot of cool stuff to check out so I spent a significant amount of time at Halo Fest. On Saturday I took Henry and his friend Sam to check it out, they were beyond excited. 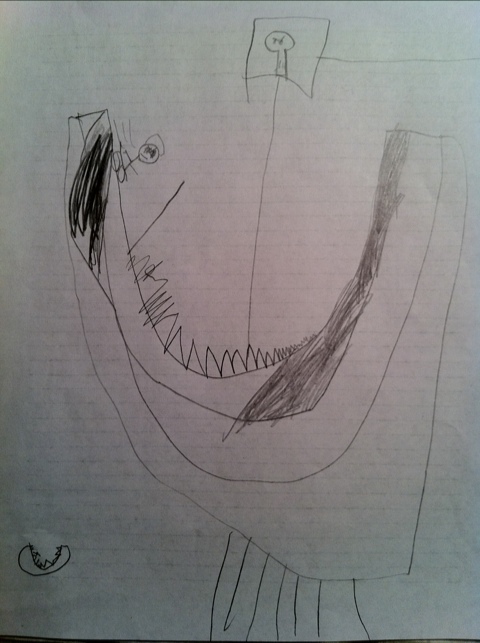 Going though Henry’s writing from second grade I found this cute (fictional) story. I went to an arcade with my dad. It was called Power Play. I played Running With An Ax. It is where you run as far as you can without tripping. I got to level 31. Then we had pizza and Sprite. Then I bought a game called Fusion Fighter 3. 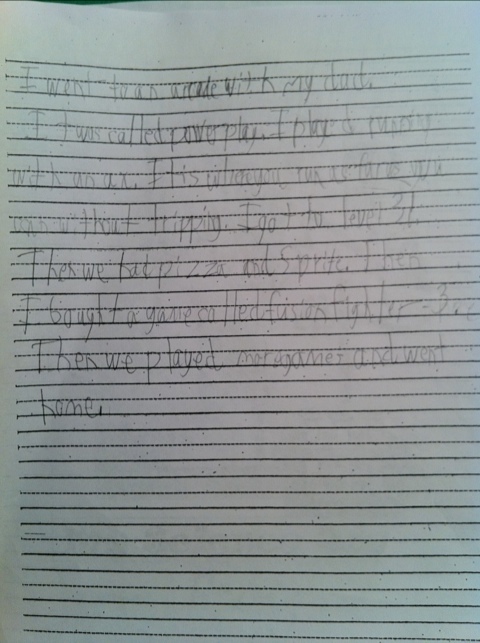 Then we played more games and went home. I love this story, we’ll have to go to an old school arcade sometime soon. Who wants to play Running With An Ax? Hi, I'm Scott Rouse. I'm a lifelong gamer and I've worked in the gaming industry for the past 13 years. I also enjoy the outdoors & photography, welcome to my page.